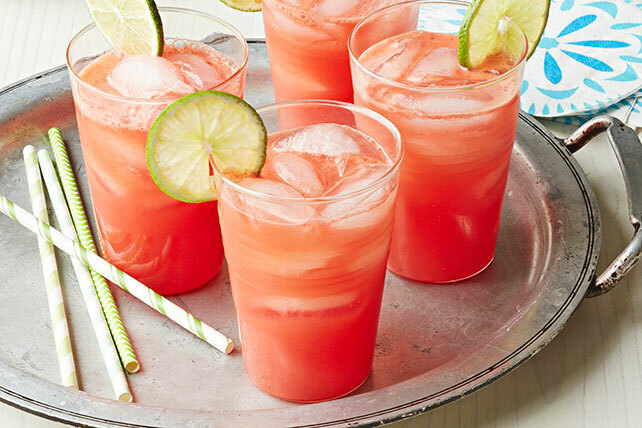 Relax and quench your thirst with the delicious Watermelon Agua Fresca. This refreshing beverage is great during the peak of summer or all year round. Blend ingredients in blender until smooth. Pour through strainer into pitcher. Discard strained solids. Serve prepared drink over ice. Garnish filled glasses with lime wedges. This refreshing drink can be prepared ahead of time. Refrigerate up to 24 hours before serving. You will need to cut up about 4 lb. of watermelon (with rind) to get the 5 cups watermelon cubes needed to prepare this easy-to-make recipe.